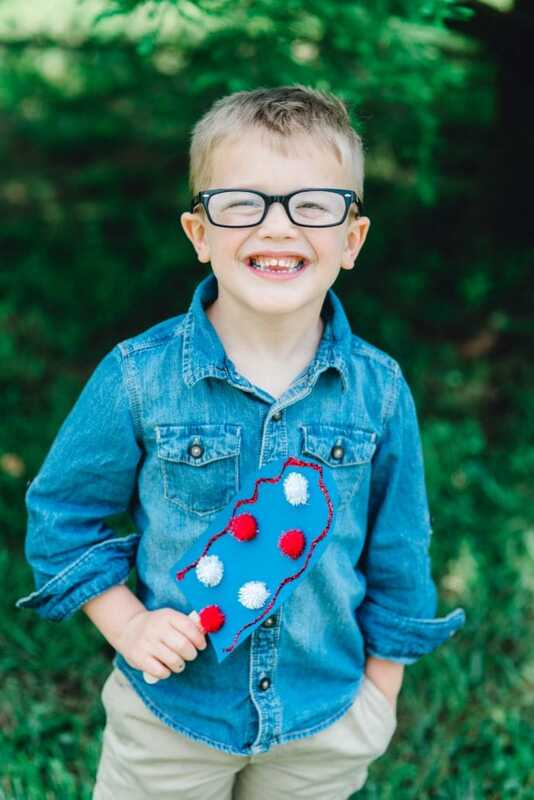 Spend some screen-free time with your littles creating these Patriotic Play Pops! I love that this playful project requires no crazy outrageous supplies, in fact, you probably already have a lot of these items (or something that will work!) lying around at the house or buried deeeeep in your craft closet. So as I like to say, go shopping at home and round up your supplies! 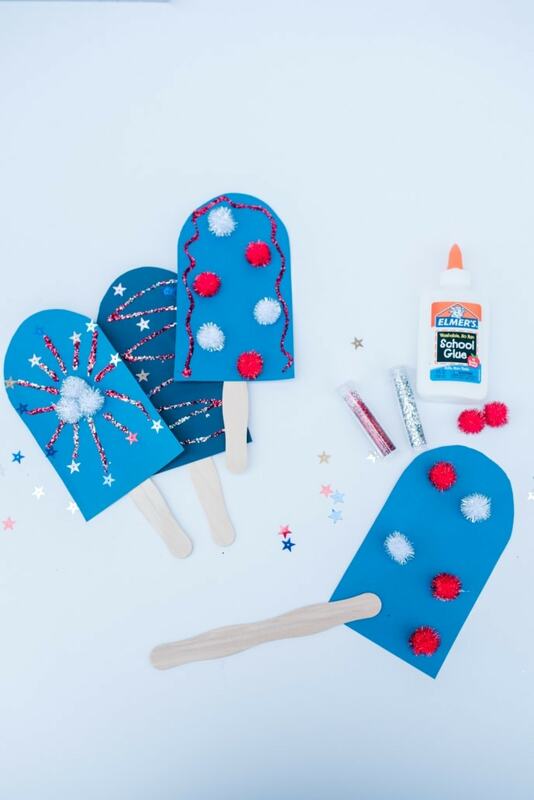 Kiddos can cut or tear construction paper into a popsicle shape (bigs can help if littles aren’t scissor-savvy just yet). Imaginations run free in creating decorative designs on the construction paper surface. Lay lines of glue and sprinkle glitter on top for a glorious glimmer. 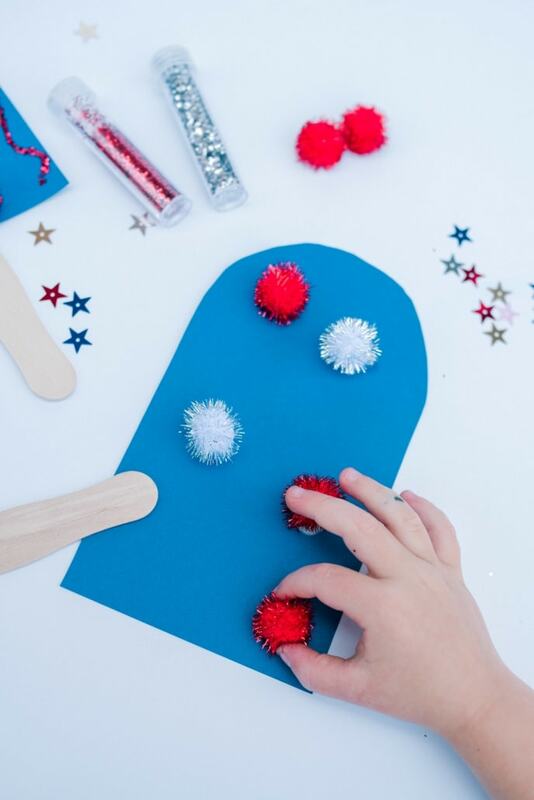 Attach shiny sequins with dots of glue and allow them to dry. Fluffy pom poms provide dimension and texture to their marvelous masterpiece. Parents can take teachable moments and talk about colors, shapes, textures, etc or this activity can be simply for play and pleasure! 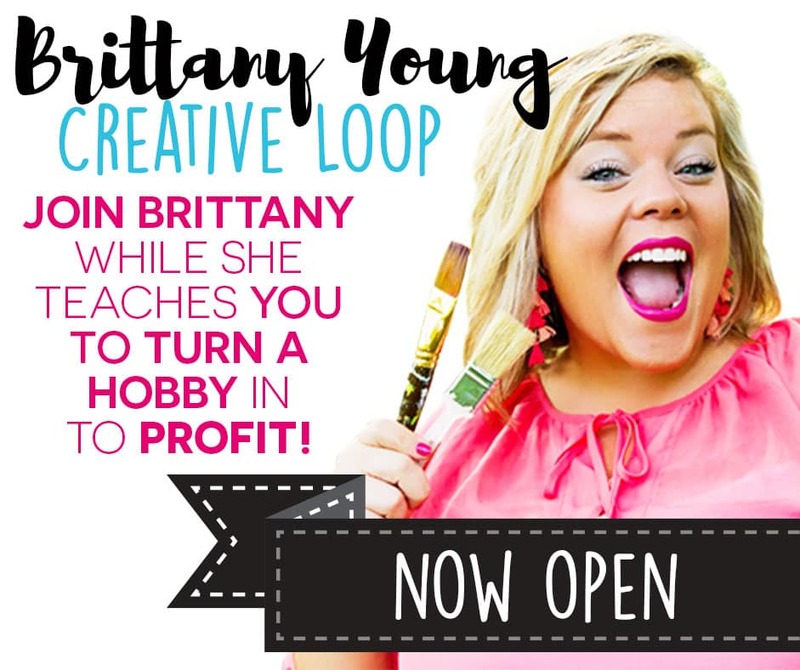 Looking to spend more creative quality time with your kiddos building memories together without the stress and prep work? Check out our Kids Club! You can also click HERE for more Kids Crafts and Boredom Busters!